Aren’t you proud of me?? I am SO not being a slacker this time! So many ways you could use them!! 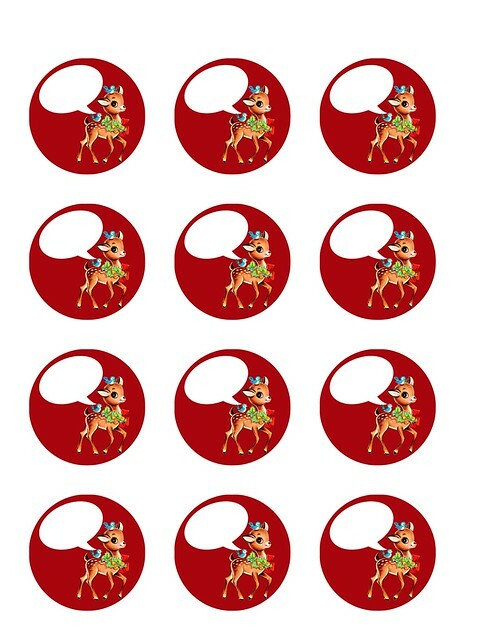 Christmas Cupcake Toppers, Gift tags, Favor tags etc. These adorable reindeer freebies couldn’t have been possible if it wasn’t for you! For best results use a 2 inch circle round punch. May use for personal purposes only -Not for resale. Oh how you rock my world!!! I adore these too…but, I am still using my Jesus Loves Me ones…thank you for being so giving!!! Thank you so much!! I will definitely be using these on our dessert table! Oooohhhh I love them!! Thank you xtimes 8740927452893579283! WOW! these are such a wonderful treat! 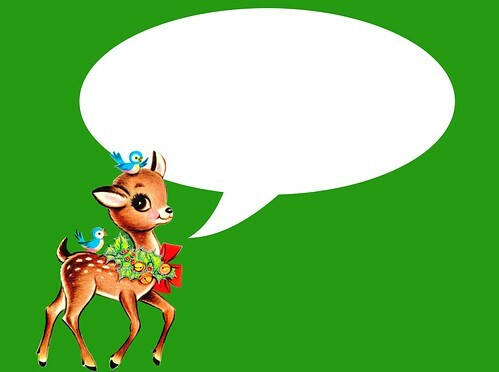 That little retro deer is ADORABLE Thanks so much for setting them up in all the different formats so nice of you! How darling! i wish I'd nown about your blog when I created a vintage book baby shower a couple weeks ago! I was on the hunt for darling vintage images like these. I found you via SpunkyJunky. Very cute… :) Tnx for sharing them! Love the cicles they would make such cute name tags for gifts this holiday! I love these tags! Thank you so much for sharing with me. I can't wait to use them on my Christmas packages. I am a new follower coming from tatortots and jello!! Great blog!! these couldn't get any cuter! thank you! Your printables are sooo adorable!! Thanks for all your awesome stuff! Hi, found you through Tatertots and Jello. 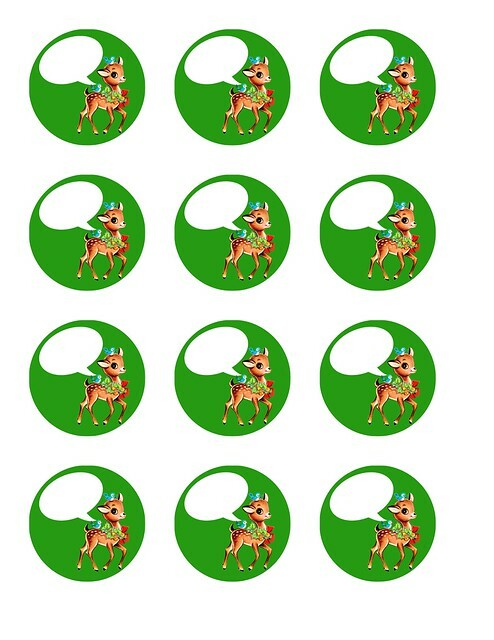 Love the reindeer printables! Those will make adorable gift tags! seriously could not be more in love with your stuff! so thankful i found you via Tatertots and Jello! such cute reindeer!! And I do have a big circle punch. I will love using these for my packages under the tree! These are so adorable! I'm visiting from Tatertots and Jello, but I'm a new follower for sure! These are ADORABLE! I love them, thank you for sharing! Sent over from Tatertots and Jello! great designs! Thanks so much for sharing! I love these reindeer items. Thank you so much!! They are adorable! I will definitely use! Super Adorable. Thanks so much. I used the deer on red to add to my teacher gifts for my 3 kids. Thank you for your free and adorable creations!! Did a post today with how I used these most adorable reindeer toppers! New follower! Love your site. I am stopping by to invite you to come check out week 5 of Thrifty Thursdays. Happy New Year! Stopping by from Marketing Monday! Happy to be following you now!!! Thank you so much for these. They are really cute. Love vintage! THANK YOU SO MUCH FOR THE FREEBIES. NEVER BEEN HERE BUT A FEW TIMES, BUT YOUR WORK IS WONDERFUL AND YOUR SHARING IS A BLESSING TO US THAT DO NOT KNOW HOW TO DO ALL THIS BEAUTIFUL STUFF. you are SO welcome Juanita!